Well, in case you missed it A-Rod came through and hit a game winning home run in the bottom of the 11th inning against the Twins. Boy, those home runs are flying out of Yankee Stadium. Are we in Colorado? Drug Policy Timeline. Courtesy of MLB.com To read more on MLB’s drug policy click here. You can also go to the Drug Policy Page on MLB.com. 1998: A jar of androstenedione is discovered in the locker of St. Louis slugger Mark McGwire, who is neck and neck with Sammy Sosa in the great chase at Roger Maris’ all-time record of 61 homers hit during the 1961 season. McGwire admits he uses the steroids precursor and goes on to hit a then record 70 homers. Using steroids, precursors or performance-enhancing drugs is not illegal at that point in Major League Baseball. 2001: MLB unilaterally implements its first random drug-testing program in the Minor Leagues. All players outside the 40-man roster of each Major League club are subject to random testing for steroid-based, performance enhancing drugs, plus drugs of abuse (marijuana, cocaine). The penalties are 15 games for a first positive test, 30 games for a second, 60 games for a third, and one year for a fourth. A fifth offense earns a ban from professional baseball for life. June 18, 2002: At a Senate Commerce Committee hearing in Washington, D.C., Senators Byron Dorgan (D-ND) and John McCain (R-Ariz) tell Commissioner Bud Selig and MLB Players Association executive director Don Fehr that a strict drug testing program at the Major League level must be negotiated during collective bargaining for a new Basic Agreement, which is about to expire. Up to this point, no MLB player can be tested for drug use without probable cause. Fehr tells the committee that the Congress should enact laws to ban over-the-counter sales of performance-enhancing substances. July 8, 2002: The Players Association meets in Chicago the day before the All-Star Game at Milwaukee. Fehr gives a lengthy dissertation to the media after the meeting about where the union stands on a number of issues, including privacy concerns regarding random drug testing. 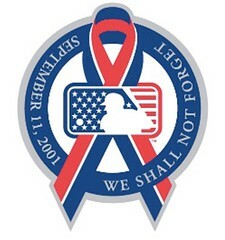 August 30, 2002: MLB and the union unveil Major League Baseball’s Joint Drug Prevention and Treatment Program as an addendum to the new Basic Agreement, which is bargained at the 11th hour just as the players are about to go out on strike. The new policy calls for "Survey Testing" in 2003 to gauge the use of steroids among players on the 40-man rosters of each club. The tests will be anonymous and no one will be punished. Feb. 17, 2003: Steve Bechler, a Baltimore Orioles pitcher, collapses on the field in Florida during a Spring Training workout and dies from heat exhaustion. He is 23 years old. An autopsy showed that the over-the-counter, performance-enhancing drug, Ephedra, was found in his system and was considered by the medical examiner as the primary cause of Bechler’s death. Subsequently, MLB places Ephedra on the list of banned drugs at the Minor League level and the U.S. Food and Drug Administration (FDA) bans it from over-the-counter sales. March 1, 2003: Drug testing begins in Major League Spring Training camps. Some teams, including the Chicago White Sox, consider balking at taking the tests to skew the results. A refusal to participate in the "Survey" phase is considered a positive test. That first year, all MLB players on the 40-man rosters are subject to be randomly tested once. In addition, MLB had the right to retest up to 240 players a second time by the end of the season. All players ultimately complied and took the tests. Nov. 13, 2003: MLB announced that 5-to-7 percent of 1,438 tests were positive during the 2003 season, well above the threshold, setting in motion mandatory testing for performance-enhancing drugs with punishments for the first time in Major League history. The first positive test put a player on a medical track that includes treatment and further testing. Otherwise, there’s no punitive for a first positive test. December, 2003: Ten Major League players, including Barry Bonds of the Giants, and Jason Giambi and Gary Sheffield of the Yankees, are called to testify in front of a San Francisco grand jury investigating the machinations of the Bay Area Laboratory Co-Operative (BALCO), owned and operated by Victor Conte. None of the players are charged with using performance-enhancing drugs, although four men, including Conte and Greg Anderson, Bonds’ personal trainer and childhood friend, are indicted for tax evasion and selling steroids without prescriptions. March 10, 2004: The Senate Commerce Committee holds another hearing. Selig and Fehr again appear to testify. They are told in no uncertain terms that MLB’s current drug policy is not strong enough. McCain says: "Your failure to commit to addressing this issue straight on and immediately will motivate this committee to search for legislative remedies," thus setting the legislative process in motion. April 8, 2004: The grand jury presiding over the BALCO case issues a subpoena to obtain the results of all the drug tests collected from Major League players during the 2003 season. After negotiations by the union, which argues that the subpoena is violating privacy rights afforded to the players in the Joint Drug Agreement, the drug tests are turned over. May 11, 2004: MLB and the Players Association agree to move all of the collection of urine samples and drug testing for both the Major Leagues and Minor Leagues to World Anti-Doping Agency (WADA) facilities in Montreal and Los Angeles. June, 2004: MLB begins drug testing Major League players under the punitive phase of the Joint Drug Agreement. Oct. 22, 2004: President Bush signs into law the Anabolic Steroid Control Act of 2004 that the U.S. Congress passed earlier in the month. The bill added hundreds of steroid-based drugs and precursors such as androstenedione to the list of anabolic steroids that are classified as Schedule III controlled substances, which are banned from over-the-counter sales without a prescription. By virtue of MLB’s own agreement with the union, all of the drugs banned by Congress are now on baseball’s own banned list. November 2004: The San Francisco Chronicle prints portions of leaked grand jury testimony given the previous year by Bonds and Giambi. Giambi reportedly admits injecting himself with steroids and Bonds reportedly says he unwittingly may have allowed his former trainer, Anderson, to rub cream that had a steroid base on his legs. Dec. 3, 2004: Commissioner Selig again publicly presses the union to accept stronger terms in MLB’s current drug policy. Negotiations have been on going for since May, but have born no fruit. Citing the recent grand jury testimony revelations, Selig says for the first time he would welcome government intervention into the situation if the sides can’t reach accord through collective bargaining. Dec. 7, 2004: The Executive Board of the Players Association, meeting in Phoenix, authorizes its representatives to move forward "to attempt to conclude" a more stringent drug policy with the Commissioner’s office, Fehr said. Jan. 13, 2005: During a quarterly owners’ meeting in Scottsdale, Ariz., the owners vote unanimously to accept recently concluded negotiations between MLB and the union strengthening the drug program. The new punitive measures for Major Leaguers are a 10-day suspension for the first positive test, 30 days for the second, 60 days for the third, and one year for the fourth. All without pay. On the first positive, the players name is released to the public. The program is separated from the Basic Agreement, which expires on Dec. 19, 2006, and is extended until 2008. Feb. 14, 2005: Jose Canseco’s new "tell all" book about his life in baseball using steroids and sharing them with some of his former teammates, hits the stores. The revelations are widely played in the media and carried by CBS in two segments of "60 Minutes" during which the former Oakland A’s slugger claims he helped inject teammates McGwire, Giambi Rafael Palmeiro and Juan Gonzalez, among others. During the latter segment, Mike Wallace asks Sandy Alderson, then MLB’s executive vice president, baseball operations, if baseball intended to investigate the allegations. After Alderson rejects that notion, members of Congress say they will investigate the matter for baseball. March 2, 2005: Rob Manfred, MLB’s vice president of labor relations and human resources, says that drug testing will begin at Spring Training camps under the auspices of the revised program even though it has yet to be ratified by the union. March 5, 2005: Selig announces the results of the 2004 drug tests in Mesa, Ariz. Selig says he’s "startled" by the drop in positive test results from 5-to-7 percent in 2003 to between 1-to-2 percent in 2004. The actual numbers were 12 positive tests in 1,183. No player tested positively twice, so under the rules of the old program, they were neither suspended nor had their names released. March 8, 2005: The House Government Reform Committee calls a hearing in Washington to hear testimony from MLB executives, plus current and former players about steroid use in MLB. At first, the government sends out invitations, which are turned down by the various parties. The Committee then issues subpoenas, which are fought by MLB. In the end, all agree to attend, including Canseco, McGwire, Curt Schilling, Palmeiro, Frank Thomas, and Sosa, plus Selig, Fehr, Alderson and Padres general manager Kevin Towers. March 17, 2005: At the 11-hour hearing that is sometimes contentious, Congressmen again tell MLB and union officials to beef up their drug program "or we we’ll do it for you," said Henry Waxman, the committee’s top Democrat. "And you don’t want that." McGwire, almost in tears at times, tells the Committee that he has been advised by his attorneys not to discuss the issue. "My lawyers have advised me that I cannot answer these questions without jeopardizing my friends, my family or myself. I intend to follow their advice," McGwire said, declining to delve into the past. March 18, 2005: Various bills controlling the use and testing of drug use in professional sports begin to be formulated in several committees. April 3, 2005: Tampa Bay’s Alex Sanchez becomes the first big league player to test positively under the new Joint Drug Program. He is suspended for 10 days. By early May, five players on the 40-man rosters of various clubs have been suspended the requisite 10 days for testing positive. April 4, 2005: MLB announces that 38 Minor Leaguers all tested positive for steroid use. Most of them were suspended for 15 games. By the end of the month, more than 50 Minor Leaguers have been suspended. April 25, 2005: Selig sends a letter to Fehr stating that the recently strengthened drug policy needs to be strengthened some more with tougher penalties and more incidence of testing. Selig is now calling for a "three strikes and your out approach," to disciplining players who repetitively test positive for steroid use: 50-game suspensions for the first offense, 100 games for the second and third-time offenders to be banned permanently. Selig also says he will unilaterally institute these rules in the Minor Leagues next season. May 2, 2005: Fehr responds to Selig by letter, saying the matter is open to discussion. After various meetings with MLB officials, Fehr says he must begin the long process of going club-to-club to gauge the sentiment of all the Major League players. May 11, 2005: During a quarterly meeting in New York, the 30 owners vote unanimously to support Selig’s drug proposal put forth in his April 25 letter. May 13, 2005: A subcommittee of the House Energy and Commerce Committee calls the Commissioners and union leaders from all five professional sports leagues to testify at two days of hearings to discuss a proposed bill that would regulate the testing of players for steroid and amphetamine use. Among the proposals under consideration are penalties that match international and Olympic rules: a two-year suspension for the first positive test and a lifetime ban for the second. May 16, 2005: Selig says in an open letter to baseball fans that he would support government intervention and the Olympic rules if MLB can’t collectively bargain an enhanced drug policy with the union. May 18, 2005: Selig, the NHL’s Gary Bettman, the NBA’s David Stern and the MLS’s Don Garber appear before the subcommittee, which again tells them that the government is ready to intervene and set standards for drug testing in all professional sports. "In a perfect world I’d rather this just be done in collective bargaining or voluntary acceptance by the players in respective sports," said Congressman Joe Barton (R-Tex.). "But obviously we don’t live in a perfect world. May 24, 2005: The House Government Reform Committee floats a bill also supported in the Senate by McCain. The new bill also calls for Olympic-type penalties of a two-year suspension for a first positive drug test and a lifetime ban for a second. May 25, 2005: The House Energy and Commerce Committee passes its bill out of the subcommittee. Aug. 1, 2005: Orioles first baseman Rafael Palmeiro is suspended for 10 days by Major League Baseball for violating its Joint Drug Prevention and Treatment Program. He denies any intentional use of steroids. Aug. 2, 2005: Mariners pitcher Ryan Franklin receives a 10-day suspension for violation of the Major League Baseball Joint Drug Prevention and Treatment Program. Nov. 2, 2005: Yankees outfielder Matt Lawton receives a 10-day suspension for violation of the Major League Baseball Joint Drug Prevention and Treatment Program. Nov. 10, 2005: A Congressional subcommittee decided to not seek perjury charges against Rafael Palmeiro following its investigation of the player’s Capitol Hill statement that he had not used steroids. Nov. 15, 2005: Major League Baseball and the players association reached agreement on Tuesday on a plan that significantly strengthens penalties for steroid and other illegal drug use. Penalties for steroid use will be 50 games for a first offense, 100 games for a second and a lifetime ban for a third. The plan also includes testing and suspensions for amphetamine use. Dec. 8, 2005: The players union formally approves by a unanimous vote the drug policy it agreed to with Major League Baseball in November. March 7, 2006: A book written by two San Francisco Chronicle reporters and excerpted in Sports Illustrated alleged Barry Bonds began using steroids after the 1998 baseball season and came to rely on a wide variety of performance-enhancing drugs over the next several years. March 30, 2006: Commissioner Bud Selig announced that former Senate majority leader George Mitchell would head an independent investigation into alleged steroid use by players associated with the Bay Area Laboratory Co-Operative (BALCO). Selig emphasized that Mitchell has the authority to expand the scope of the probe if necessary. April 28, 2006: Patrick Arnold, noted scientist in the sports nutritional supplement world, pleaded guilty to supplying the Bay Area Laboratory-Cooperative with the performance-enhancing drug known as "the clear." June 6, 2006: Arizona Diamondbacks pitcher Jason Grimsley told federal investigators he used illegal performance-enhancing drugs, according to court documents unsealed. June 12, 2006: Pitcher Jason Grimsley was suspended 50 games by Major League Baseball, less than a week after federal agents raided his home during an investigation into performance-enhancing drugs. Grimsley’s suspension was never served because he asked for and received his release from the Diamondbacks and then retired. June 19, 2006: David Segui, a 15-year major league baseball player who last was on an MLB roster in 2004, said he was one of the players whose names were redacted in the IRS affidavit that said Jason Grimsley received two kits of human growth hormone on April 19. July 20, 2006: A federal grand jury seated in San Francisco expired without indicting Barry Bonds on perjury charges. A new one was immediately empanelled to review the case. Sept. 21, 2006: San Francisco Chronicle reporters Lance Williams and Mark Fainaru-Wada, who published excerpts from the BALCO transcripts in 2004, were sentenced to 18 months in prison for refusing to reveal their source to the grand jury. Oct. 1, 2006: Roger Clemens, Andy Pettitte and Miguel Tejada were among the players that a former major league pitcher accused of using performance-enhancing drugs, according to a federal agent’s affidavit, the Los Angeles Times reported. Baltimore teammates Brian Roberts, Jay Gibbons and Tejada also were implicated in the sworn statement, the Times said. Nov. 1, 2006: Mets reliever Guillermo Mota was suspended for 50 games, becoming the third player penalized in 2006 for violating Major League Baseball’s toughened drug policy. Jan. 18, 2007: Former Senator George Mitchell, who had been heading up a nearly year-long investigation into steroid use in Major League Baseball, told the owners that he needed more cooperation from them to complete his much-anticipated report. Feb. 21, 2007: Troy Ellerman, former lawyer for BALCO president Victor Conte, admitted to being the source of the BALCO grand jury documents leaked to San Francisco Chronicle reporters Lance Williams and Mark Fainaru-Wada. Feb. 22, 2007: Former Senator George Mitchell announced that investigators for his committee reviewing the use of performance-enhancing drugs in Major League Baseball planned to visit Spring Training camps to conduct interviews. Feb. 26, 2007: Barry Bonds and other players under suspicion of using performance enhancing drugs were asked by Major League Baseball’s lead steroids investigator to turn over medical records and submit to interviews. Feb. 26, 2007: The players’ association would offer advice but said it’s the choice of each individual whether to cooperate with former Senator George Mitchell’s investigation into steroids use. Feb. 27, 2007: An Orlando pharmacy was raided by a law enforcement task force, the climax of a large New York state grand jury investigation into Internet drug sales. Among the athletes reportedly on the customer list were Angels outfield Gary Mathews Jr. and boxer Evander Holyfield. March 2, 2007: Texas Rangers utility player Jerry Hairston Jr. was named by a Sports Illustrated story as the recipient of a shipment of HGH from a New York pharmacy. April 27, 2007: A former New York Mets clubhouse employee pleaded guilty to distributing steroids to Major League players and was cooperating with baseball’s steroids investigation. Kirk Radomski, 37, pleaded guilty to felony charges of distributing steroids and laundering money, charges that carry sentences of up to 25 years in prison and a $500,000 fine. May 18, 2007: New York Yankees slugger Jason Giambi said Major League Baseball should apologize to the public for its widespread performance-enhancing drug problem. May 23, 2007: Jason Giambi met with Major League Baseball officials over remarks he made in an interview that implied former use of performance-enhancing drugs. June 6, 2007: Commissioner Bud Selig said that he wanted Jason Giambi to meet with former Senator George Mitchell during the next two weeks before determining whether to discipline the Yankees first baseman regarding statements about his alleged steroid use, which Giambi made to a newspaper last month. July 6, 2007: Tigers infielder Neifi Perez became the first player disciplined under Major League Baseball’s testing program for banned stimulants, receiving a 25-game suspension for a second positive test. July 14, 2007: Yankees 1B/DH Jason Giambi became the first active player to meet with former Senator George Mitchell in baseball’s ongoing investigation into steroid use by major league players. Aug. 3, 2007: The only player suspended under Major League Baseball’s new drug testing program for stimulants was suspended again. Tigers infielder Neifi Perez received his second such sentence in a month, this one an 80-game suspension for another positive test. Sept. 7, 2007: Blue Jays third baseman Troy Glaus was the second Major League Player implicated for the purchasing of performance-enhancing drugs via the Internet during the 2004 season, SI.com reported. The news came only hours after the New York Daily News reported that Cardinals outfielder Rick Ankiel received a 12-month supply of human growth hormone in 2004 from a Florida pharmacy that was part of a national illegal prescription drug-distribution operation, citing records its reporters saw. Sept. 9, 2007: SI.com reported that Orioles outfielder Jay Gibbons had purchased performance-enhancing drugs through Orlando-based Signature Pharmacy from October 2003 to July 2005. Sept. 13, 2007: Members of the committee headed by former Senator George Mitchell met with representatives of the Albany, N.Y., prosecutor’s office as a two-year-old probe into the Internet sale of performance-enhancing drugs continued. Sept. 19, 2007: Baltimore Orioles outfielder Jay Gibbons became the second of the four players who have reportedly been linked to the procurement of performance-enhancing drugs through pharmacies doing business on the Internet to meet with officials from Major League Baseball. Oct. 2, 2007: Pitcher Scott Schoeneweis was reported to have purchased six shipments of steroids from Orlando-based Signature Pharmacy while playing for the Chicago White Sox in 2003 and 2004. Oct. 21, 2007: Prior to Game 7 of the ALCS between the Indians and Red Sox, Cleveland pitcher Paul Byrd was cited in a San Francisco Chronicle report as having purchased human growth hormone in large quantities between August 2002 and January 2005. Oct. 31, 2007: Padres outfielder Mike Cameron is suspended 25 games, effective the beginning of the 2008 season, for testing positive for a banned stimulant. Cameron became the second player to be suspended for a banned stimulant, following Neifi Perez. Nov. 6, 2007: Former Mariners outfielder Jose Guillen and two former Major League players — Matt Williams and Ismael Valdez — bought performance-enhancing drugs from a Florida clinic, the San Francisco Chronicle reported. Nov. 7, 2007: Gary Matthews Jr., the Angels outfielder whose name was the first to surface earlier this year in the probe by an Albany, N.Y., district attorney into the illegal sales of performance-enhancing drugs, met with attorneys for the Commissioner’s Office, an MLB official confirmed. Nov. 15, 2007: Barry Bonds was charged with perjury and obstruction of justice for allegedly lying when he said he did not use performance-enhancing drugs. Bonds’ trainer, Greg Anderson, was ordered released from prison by a federal judge after being held in contempt for refusing to testify to a grand jury. Nov. 27, 2007: Left-handed free-agent pitcher Dan Serafini received a 50-game suspension for testing positive for a performance-enhancing substance. He split ’07 between Triple-A and the Rockies. Dec. 6, 2007: Outfielders Jose Guillen, newly of the Kansas City Royals, and Jay Gibbons of the Baltimore Orioles were suspended 15 days each for violations of Major League Baseball’s substance abuse policy. Dec. 7, 2007: Barry Lamar Bonds, Major League Baseball’s all-time home run leader, pleaded not guilty in federal court to four counts of perjury and one count of obstruction of justice for allegedly lying about his use of performance-enhancing drugs in testimony given to a grand jury four years ago. Dec. 13, 2007: Former Sen. George Mitchell said that performance-enhancing drug use has been pervasive in the sport for more than a decade as he released his findings in the shape of a 311-page report, which was fashioned during the past 20 months of investigations. Jan. 6, 2008: Roger Clemens denied all allegations of steroid and human growth hormone use during an interview with Mike Wallace, televised on "60 Minutes." He took it one step further before the interview aired, filing a defamation lawsuit against his former trainer Brian McNamee, according to a Houston Chronicle report. Jan. 7, 2008: Roger Clemens’ former trainer said he was willing to go to jail and repeatedly asked the pitcher "what do you want me to do?" during a 17-minute telephone conversation. A recording of last Friday’s conversation between Clemens and Brian McNamee was played at the start of Clemens’ news conference. Clemens’ lawyers said that because McNamee didn’t deny Clemens’ claims that he never used steroids, it amounted to proof that Clemens was telling the truth. While everyone in Major League Baseball remains quiet on the steroid issue, Jason Giambi is speaking. He may have opened his mouth too much this time on the issue that is a pebble in the shoe of Bud Selig and contributing to the decline of America’s Pastime. In everyone’s eyes, Giambi is becoming the scapegoat for Major League Baseball. While being interviewed by USA Today, Giambi acknowledged that he "shouldn’t have done that stuff." It was that quote in which Selig is now pressuring Giambi to meet with former U.S. Senator George Mitchell, who is investigating the steroid issue in baseball, or face being suspended and fined a large amount of money. "What we should have done a long time ago is stand up — players, owners, everybody — and said we made a mistake," Giambi said to USA Today. "We should have apologized back then and made sure we had a rule in place and moved forward." Giambi is not to blame here, but Selig and all the other key people in baseball — owners, GMs, etc. — who turned the other way on this issue and did nothing about it. While Jose Canseco (the most outspoken), Mark McGwire, Sammy Sosa, and others were smashing home runs to oblivion, the leadership in baseball sat back and enjoyed the show. They did nothing. They said nothing. They let it happen. "Jason will d etermine how to respond to the commissioner’s request that he meet with Senator Mitchell after consulting with MLBPA counsel and his own lawyer. Such decisions are for the individual player to make, after receiving appropriate legal advice. We do not believe that grounds exist for disciplining Jason Giambi upon the newspaper article, anything which sprang from it, or his decision whether he will meet with Senator Mitchell." Now that George Mitchell is not getting cooperation from players on being interviewed because of the union, Selig has fingered Giambi to talk to Mitchell and has made him the scapegoat for the players. The Yankees are already talking about voiding his contract, which has about $40 million left on it with a buyout option for 2009. "Any admission regarding the use of illegal performance-enhancing substances, no matter how casual, must be taken seriously," Selig said in a statement to the media. "Discipline for wrongdoing is important … cooperation is important." Giambi shouldn’t be the one pressured to talk for telling the truth. He came forward early on about this whole issue and told the truth while other players lied. They don’t want to talk about the past, but look ahead to the future or something along those lines. They want to be the best, but not naturally. This whole issue gave baseball a black eye and tarnished the reputation of many. What baseball has to do is just face the facts and tell the truth, like Giambi did. All Gaimbi did was speak his mind and that of Selig’s. At least someone knows what’s going on. Shame on everyone else who didn’t speak the truth. Major League Baseball has had record attendance fo r two years running and may set another record this year. It’s early, but pennant and wild-card races are competitive throughout our divisions. Baseball is enjoying a golden age of fan support and excitement. Our great game has never been more popular. Yet, despite the good news in Baseball, there are problems. I was disappointed and angered by revelations that a Major League player had acknowledged using human growth hormone (HGH); a performance-enhancing substance banned by Major League Baseball, and had said that others were using HGH as well. Seven-hundred-fifty great athletes play Major League Baseball. The overwhelming majority are hard-working, honorable individuals who play to win the right way. But among the seven-hundred-fifty, there have been and still are those who would cheat the game to gain an advantage. They hurt not only themselves, but they unfairly raise questions about the integrity of their teammates who play by the rules and they violate the trust placed in them by you, the fans. These players who use performing-enhancing substances offend all of us who care for the game and I will not tolerate their actions. These individuals break the rules of baseball. But the use of steroids, human growth hormone, and other performance-enhancing drugs in this manner is also against the law. The investigative abilities of the FBI are powerful and baseball players are no different than anyone else in our society. If you break the law, you put yourself at risk. I am committed to protecting our game. The Office of Commissioner of Baseball was created nearly 86 years ago to ensure the integrity of America’s pastime. I know my duty is to uphold that great tradition. Last year, Major League Baseball and its players agreed to the toughest drug testing and penalty program for steroids in all of professional sports. We are proud of what we have accomplished. We ban and test for amphetamines. And, human growth hormone is banned, as well. We have cracked down and will continue to crack down on steroid users, but the use of HGH represents a threat to all sports everywhere. Christiane Ayotte, the head of the Montreal Olympic testing lab, acknowledged this in an interview with USA Today last week. She said: "We know growth hormone is a problem. No sport is testing currently for HGH because (the test) is not available. If the test kit was available, it would only be effective for out-of-competition testing." The writers of the USA Today story added that while there is a blood test for HGH, "…because antibodies necessary for the process are in such short supply, virtually no HGH testing is conducted. In addition, the test only detects HGH right after injection so it’s impractical for in-competition testing. As a result, there never has been an HGH positive." As Commissioner, I won’t be deterred and will do everything I can to try to keep up with or even stay ahead of those who break the law and break our rules. But I suspect there will always be a few players who seek new ways to violate the rules, no matter how many we have and how often we toughen them. I also know that science can provide new ways to combat them and I will rely on our experts to keep on top of the science as it develops. In the meantime, I want you to know that Major League Baseball is taking steps to address the issue. We are committed to funding a study of HGH and how to detect it. The study will be conducted by Dr. Don Catlin, a leading expert in the medical testing field. Also, we are willing to make additional contributions to fund other studies to determine how to detect HGH and are currently reaching out to experts in the field to ascertain what other studies can immediately begin. We invite other foundations, unions, sports, and the Congress of the United States to join us in pursuing the detection and deterrence of HGH use. The goal of baseball is simple. It’s a game that is to be won or lost on the field as a result of the natural talents of the game’s remarkable athletes. I will do everything possible to make sure that this one goal can always be met. The Hall of Fame ballot is out with 32 Names on it. Who’s your favorite for the Hall? In order to be inducted, they need 75% of the vote. The winners will be announced on January 9, 2007. Long Island Newsday had an interesting story in today’s edition about baseball salaries. It’s amazing by reading it, how baseball salaries have increased. Here’s a look at some of the salaries. Opening Day 2006 is upon us. Here’s a look at players to watch for the 2006 Season.